Chino Hills– The Coroner’s office identified the victim who was fatally wounded by an allegedly intoxicated hit and run driver last Saturday night as Marinel Enriquez Ladores. Marinel a 17 year old senior at Ayala High School was scheduled to graduate in June of this year. A Go Fund me account in her name can be found at http://www.gofundme.com/marinel-ladores-funera-fund, had raised $8,703 for funeral expenses as of Friday night February 26. 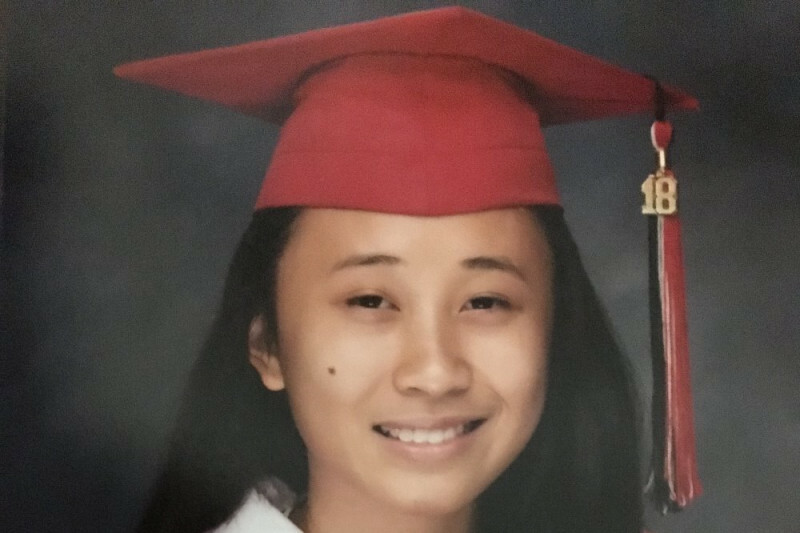 Marinel was walking in the intersection of Chino Avenue and Peyton Drive in Chino Hills at 7:18 p.m. when she was struck by a vehicle, Deputy Brandon Steffler said. The victim was reported to be lying in the street unresponsive when deputies arrived at the scene. After Marinel was struck by the vehicle the driver fled the scene of the collision without stopping to render medical aid or even just to check on the injured victim. Deputies were able to identify the driver as Talia Guadalupe Arias-Simenta, a 23 year old from Pomona. She was arrested at 9:32 p.m. on suspicion of drunken driving causing injury or death, driving with a blood-alcohol level higher than 0.08 causing injury or death, and felony hit-and-run causing injury or death. Jail records show that Arias-Simental was released on bail at 5:03 p.m. Monday January 29. Arias was found driving a 2002 white pathfinder that had sustained recent, major front end damage, allegedly from the collision. Criminal charges are pending in this ongoing investigation. Any witnesses to the incident are being encouraged to report any information they might have. Call Deputy Steffler at 909-477-2800 or send an email tobsteffler@sbcsd.org. If you would prefer to stay anonymous you can call the We Tip Hotline at 800-782-7463.